At EcoRise, we believe that true climate leadership lies not in a single political office, but in the collective potential of teachers and students everywhere to innovate and design a sustainable future for all. Education is the critical element to social and environmental justice, and we intend to unlock it. At a time when our country is walking away from climate leadership, students, teachers, and municipal leaders across the nation are stepping up to the plate. Take EcoRise students at Cedar Park High School in Texas as an example. With the guidance of their teacher Dr. Shannon McPherson, the kids conducted an audit on their campus’ use of energy and then built a biofuel-powered energy cell prototype, using microbes to purify water and generate electricity at the same time. 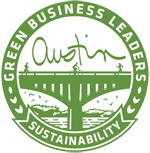 In May 2017, they presented their model to Mayor Steven Adler, who champions the City of Austin’s commitment to sustainability action. In 2016–17, EcoRise students proposed 71 solutions to waste, water, air, food, public spaces, transportation, and energy challenges. And the impact speaks for itself. Explore the same concepts these students did by downloading our free Sustainable Intelligence lessons. 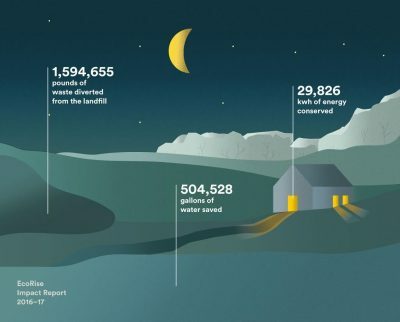 Sustainable Intelligence is an engaging, ready-to-use K-12 curriculum that builds a foundation of environmental-literacy and sustainability knowledge across seven eco-themes: water, waste, food, energy, transportation, air, and public spaces. Our work matters now more than ever. Rise with us and learn more about our efforts to build climate leadership in schools.